One of the best parts of using the Disney Dining Plan is the snack credit. For some people the snack credits are throw-aways that aren't given a 2nd thought, but for my family the snack credit may be our favorite part. The snack credits can be used for so many different tasty treats at Disney World, that my family considers it a challenge each trip to find the tastiest treat that can be redeemed with a snack credit. In the early days of the Disney Dining Plan it was pretty straight forward that any food item under $4.00 could be had for a snack credit. Now the $4.00 barrier is not the upper limit, but there are many items under $4.00 that cannnot be obtained with a snack credit. That is where the treasure hunting comes it. In a previous post called : Best Disney Dining Plan Snacks, we listed quite a few snacks that could be obtained with the Disney Dining Plan Snack Credits. Since that time some new snacks have become available and others have been discovered. Regardless it was time to present more snacks for you to consider prior to your next Disney World trip. This is especially timely if you are taking advantage of the FREE Dining Promotion that is going on now at the Walt Disney World Resort. At Disney's Hollywood Studios, hidden away at The Writer's Stop is a secret treat that deserves top snack billing. 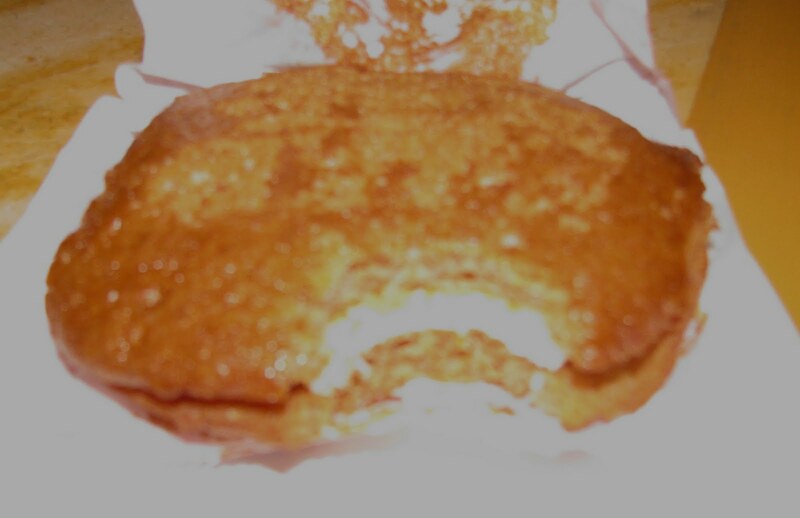 It is called the Carrot Cake Cookie and it is delicious! The above picture may not do it justice, but sandwiched between two soft Carrot Cake Cookies, you have a layer of cream cheese frosting. The resulting taste is amazing and it certainly challenges as one of Disney World's best tasting snacks. Funnel Cakes are snack staples at Theme Parks, Fairs, and Festivals, and Disney World is no exception. Until recently you could order a Funnnel Cake, but you could not use a snack credit to pay for it. Now at Sleepy Hollow Refreshments found at Liberty Square in the Magic Kingdom you can get a freshly-made Funnel Cake dusted with powdered sugar or cinnamon for the price of a snack credit! 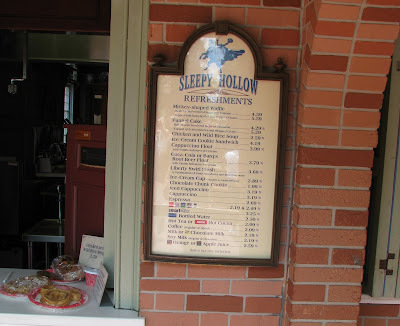 Two other unique snack credit items available at Sleepy Hollow Refreshments are: the Cappuccino Float with Vanilla Soft Serve Ice Cream and Chicken & Wild Rice Soup. At Mrs. Potts' Cupboard in Fantasyland of the Magic Kingdom are two snacks that are priced at $4.99, but are still redeemable for a snack credit. The first is the Strawberry Shortcake Sundae which consists of shortcake topped with vanilla soft serve icecream and strawberry topping. The second is the Fudge Brownie Sundae which starts with a fudge brownie topped with your choice of chocloate or vanilla soft serve ice cream, hot fudge or caramel topping and whipped cream. After you have experienced Soarin' at Epcot you are probably ready for a snack. 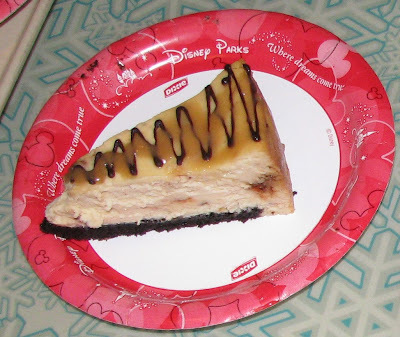 The bakery area in Sunshine Seasons has several great choices with the Butterfinger Cheesecake at the top of the list. Like most of the other delicious items that are available in the bakery counter, the Butterfinger Cheescake can be yours for one mere Disney Dining Plan Snack Credit. For those of you attending the Epcot International Food & Wine Festival don't forget the snack credit redeeming options that abound during the F&W Festival. With very few exceptions all of the food tasting portions that are available in the 25 kiosks in Epcot's World Showcase can be obtained for a DDP Snack Credit. There are some incredible dishes to try, so you can't go wrong using your snack credits here! Try the Cheddar Cheese Soup from Canada and I would highly recommend the Seared Beef Tenderloin with Sweet Potato Purèe and Mango Barbecue Sauce in the South Africa kiosk. Don't ever settle for boring when it comes to using your Disney Dining Plan Snack Credits. With so many tasty choices, there is no excuse for letting your credits go to waste or piling up until check out time. Set up your own "Snack Hunt" with your family to see who finds the best snacks and earns the title of Snack King or Queen. 3 comments to "More Great Disney Dining Plan Snacks"
I have to try that carrot cake cookie next visit! That looks awesome. I'm even willing to give up one of my Mickey Bars for it! Is there a specific way to know from the signs that are posted at the vendor locations, that certain items are available with snack credits? There is a way to tell if certain items are available with snack credits. Look for the symbol that is shown at the top of this article to appear next to the items on the menu boards. Disney has incorporated these throughout their parks and resorts to help people.